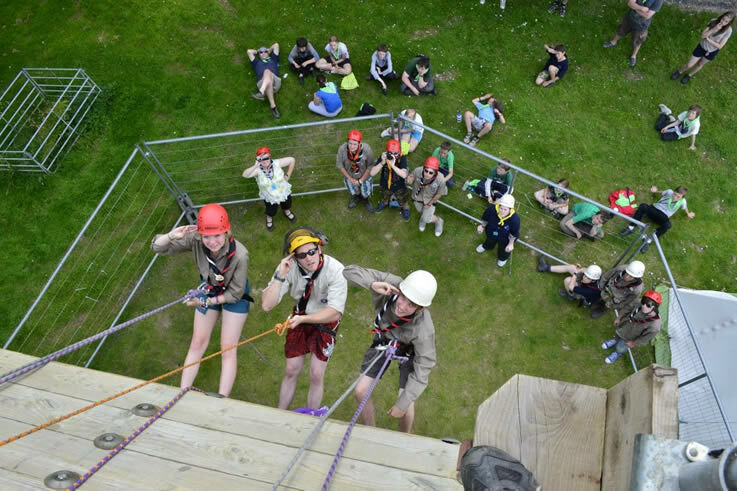 LINX is Shropshire's Guide and Scout jamboree. Following the success of the camp held in the summer of 2012, LINX is back and bigger than ever. This year’s camp will run from Sunday 26th July to Saturday 1st August 2015 at the West Midlands Showground in Shrewsbury. Working with the feedback received from the last camp, the organisers are putting together an action-packed programme with a zip wire booked in response to the suggestions received at the end of the last camp. There will be water activities on the River Severn in Shrewsbury, climbing activities and the star event….I’m NOT a Celebrity. Based on the TV show, can you guess what your challenged are likely to entail? Other activities planned will include: archery, backwoods cooking, climbing, abseiling, pioneering, shooting and Ultimate Frisbee. Bookings for LINX are now closed and we hope to see you there.